Sometimes you just want your snow cover to look pristine and unsullied. 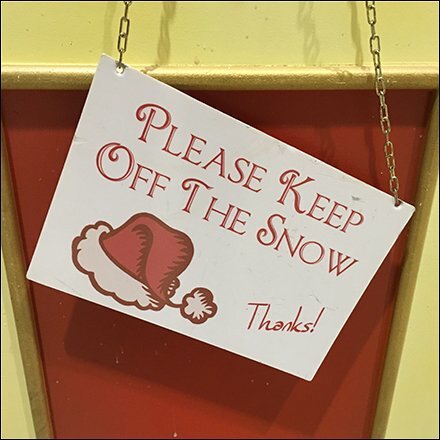 Maybe you need a Please Keep Off The Snow Request Sign? The cap implies a request direct from Santa, or at least some elf in authority. A hand-written “Thanks!” expresses appreciation. This Please Keep Off The Snow Request Sign seen near the Santa photo area, The Short Hills Mall, Chatham, New Jersey.